Crested Butte Mountain Resort (CBMR) and the Mountain High Music Festival had hoped to create a temporary year-round event venue in the resort’s Adventure Center and use it for this year’s festival. They approached the town of Mt. Crested Butte in November for help funding the winterization of the Adventure Center’s mini-golf structure, but the length of time needed for approvals has tabled the idea until spring. At a Town Council meeting in November, representatives from CBMR and the festival asked Mt. Crested Butte for support to enclose the structure with panels, add ventilation and heating systems, and create two large doors for loading and unloading. The cost of the upgrades was estimated to be around $55,000. Under the partnership, CBMR would help install the upgrades and maintain and manage the venue. The festival would have contributed a portion of the funding in exchange for use of the facility over the next three years. The partners would like Mt. Crested Butte to kick in some of the upgrade costs as well. John Johnson, owner of the Nordic Inn, explained that he and the Mountain High Festival had been looking for an appropriate venue for the January festival. “We wanted to spend our money on something that would collectively help the whole community,” he said. Estimates provided by Stone and CBMR suggest that the venue could bring in an additional $22,764 over the next three years through Mt. Crested Butte’s admissions tax and $254,500 through the lodging tax. The council seemed receptive to the idea, but town staff brought up two potential sticking points. Carlos Velado, community development coordinator for Mt. Crested Butte, pointed out that no formal application had been submitted to his department or the Crested Butte Fire Protection District. Yet the nature of the structure and the expected occupancy rate would determine what kind of fire protection needed to be in place. Depending on the classification, groups of more than 300 people could trigger the need for a sprinkler system or the use of special mitigations. Velado made it clear that no one wanted to make CBMR add a sprinkler system, but some kind of plan would need to be worked out. “Currently, the applicants would have to present something to us, and the fire department would work with the application to put mitigations in place,” Velado said. Town clerk Jill Lindros also raised questions about liquor licensing. The current structure is part of an Optional Premise License that allows CBMR to serve liquor for outdoor events like Live! From Mt. Crested Butte Summer Concert Series. Given the nature of the modifications, that would need to change. For the winter season, Lindros said, the Optional Premise License could be modified to allow for the facility’s use, but it would require a $150 fee, a public hearing, and notification to neighbors with 250 feet of the structure. That would take time, and time was one thing that wasn’t on the festival’s side—the event takes place January 14-18. His sentiment seemed to echo that of the entire council, which had a lot of questions regarding the use of the structure, potential effects on surrounding businesses, and where Mt. 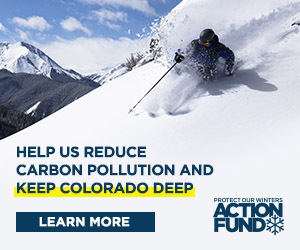 Crested Butte funding would come from. But overall, they expressed interest in the idea and a willingness to consider a formal application. According to Joe Fitzpatrick, town manager for Mt. Crested Butte, that hope didn’t pan out. At a Town Council meeting in late November, he informed the council that the structure was off the table.